New products are a driving force in the fishing tackle industry. 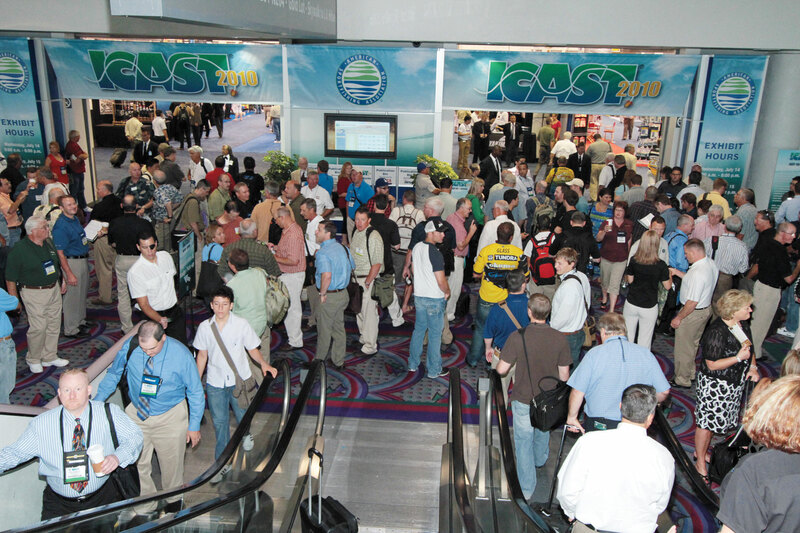 The sight of masses of media, buyers, and sales reps waiting at the doors of the annual ICAST Show on opening morning illustrates this phenomenon. They eagerly awaited a peak at the new goodies and rushed in like kids into a candy store. Websites and catalogs proudly proclaim the latest, while last year's phenom is pushed to the back. As an angler, I have a tendency to rely on tried and true tackle, just as I like old jackets and jeans. But I readily recognize the improvements made annually in tackle and line as well as lures. The 2011 edition of the In-Fisherman Gear Guide is all about new stuff, literally packed with exciting items new anglers and veterans alike will want to try. Reels and rods keep getting lighter and more sensitive; line thinner, stronger, and more user-friendly. And space-age electronics have lured baby boomers into computer literacy. Much of this gear is a product of new technology, with plastics, alloys, and finishes borrowed from the automotive and space programs. This year, for example, the term "nanotechnology" has crept into fishing tackle development, in both rods and reels. Minute nanoparticles measure between 1 and 10 nanometers and have varied shapes and properties. If you're rusty in physics, a nanometer is one billionth of a meter. Because of the promise of these particles to industries of various kinds, the National Nanotechnology Initiative has received substantial public funding. But other developments involve use of more basic scientific materials, such as magnets. We find them as critical features in lures, reels, even tackle storage. New lures create great interest and several trends emerge. Swimbaits remain hot, in both hard- and softbait categories. Moreover, we see more of what might be called hybrid lures or crossover baits, those with a mixture of hard and soft components. Designers have created new looks and actions by melding the action of plastisol with the durability, weight, and body motion of hardbaits. Exciting stuff, indeed. We've become aware of a consumer survey of fishing tackle, conducted monthly online by Southwick and Associates. Anglers can log in and participate, answering question about fishing tackle purchases. Participants help build the database and are rewarded with a chance to win $100 gift certificates for sporting goods. Five winners are selected monthly. Visit southwickassociates.com. For 2009, participants ranked Shimano as the top selling reel manufacturer based on number of purchases, followed by Abu Garcia, Quantum, then Daiwa and Bass Pro Shops. In the rod category, Shakespeare took the top spot, followed by St. Croix, Shimano, Bass Pro, then Berkley. Among hardbaits, Rapala scored decisively with over 30 percent of transactions. Next came Strike King, Bomber-Heddon, then Lucky Craft. Zoom scored highest among softbaits, though the survey categories separated Berkley Gulp! and PowerBait. Gulp! ranked second, followed by Strike King and Yamamoto, then Berkley PowerBait. For the latest from these companies and dozens more, scan the features compiled by our staff and Field Editors. Christmas is coming soon, so drop hints and make lists to ensure a happy holiday season and good fishing this coming year.